When choosing a paint for your latest project, the decisions don’t end with color. The finish you choose is just as important. If you are unfamiliar, “finish” (or sheen) refers to the amount of shine the paint will have when it dries. Below is a list of all paint finishes available in Benjamin Moore Paints. These are listed from the least amount of sheen (flat) to the highest amount of sheen (high gloss). A flat paint has no light reflection and each sheen will gradually show more reflection the further you go across this list. Imagine a beautiful home nestled on a quiet street lined with oak trees. The interior of the home is elegant and traditionally decorated in creams and whites. In a small hallway between the kitchen and living room is a door, no different from every other door in the home. What is behind it? A closet, the stairs to the basement? You open it and see jet-black enamel walls, a simple mirror and eclectic selection of artwork. The simple sink glows in the corner and the small space is radiating with light. 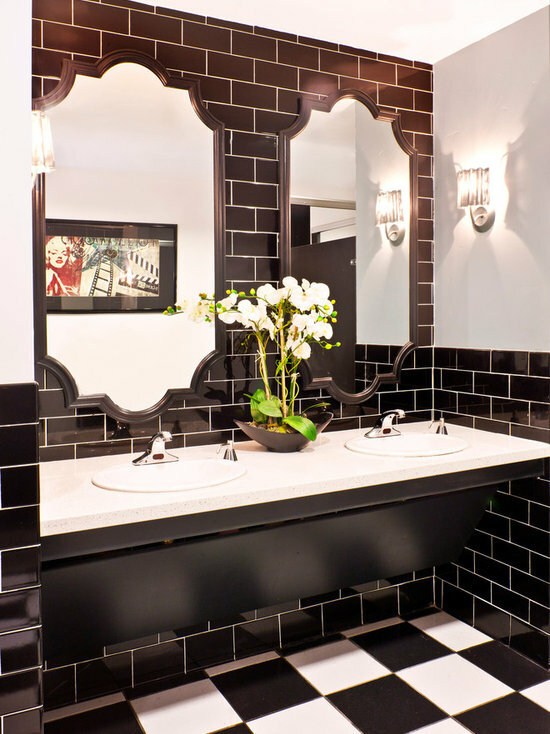 A half-bathroom, or powder room, appears seemingly out of nowhere yet gives the guest a small taste of the homeowner’s personality. Sophisticated. Artistic. Bold.